What to do with these two lovelies? I still can’t decide on what configurations to build with these two lovelies. I think one should be a pistol at least. They were both transfered as “pistols”, so maybe both into pistols. Light weight builds, but they don’t have to be airweights. Maybe one pistol and one light carbine? I want them to be unique. Post links to images of suggested builds and the Parts I should buy for the builds. Help me out here. I can’t remember when I had last seen it… Not for at least 15 years. So long, I didn’t even think it an issue. Like Small Pox, I thought it had been cured. We had an AR-15 at the range that was having problems. We looked at everything and we finally found the cause. This was a S&W M&P15. And the Gas Key was not staked. It had worked loose and was causing every issue you can think of. It was the last thing we looked at. The bloody Gas Key. Huh. I have a friend named Bax. He’s a former Jarhead, opinionated, somewhat self-aggrandizing, but smart. He keeps me honest. Around me, it just seems the subject of AR-15 rifles just swirl like radioactive fallout in a breeze. 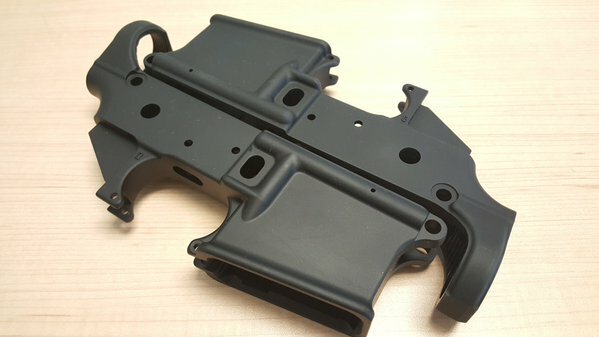 This dust is of my own making, as I nuked the AR-15 platform in one of my articles. While it is true that I do hate the AR-15 for many reasons, I also love it for many others. There are strong points in its favor and I have some AR-15’s for those reasons. In the middle of yet another AR-15 discussion on WeTheArmed.com, the subject of Charles Daly came up. I dismissed Charles Daly off hand because of previous experiences with CD products that left me disappointed. I generally operate on the Fool Me Once principle, so I had no interest in exploring another CD product. Bax however, was insistent and somehow got Charles Daly involved. Mr. Kassnar himself, President of Charles Daly stepped up and offered a CD rifle for defense. 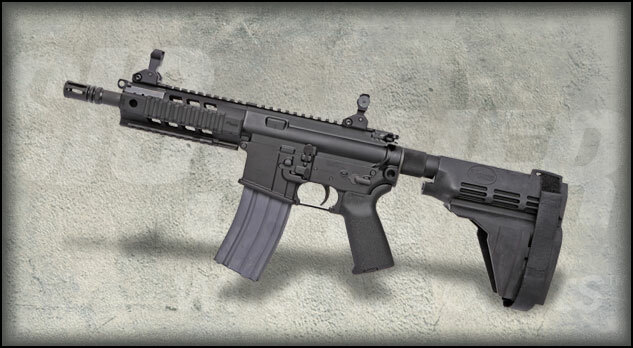 To clarify, Charles Daly’s Defense division, CDD has the AR line, and it was a CDD rifle that was send to me. 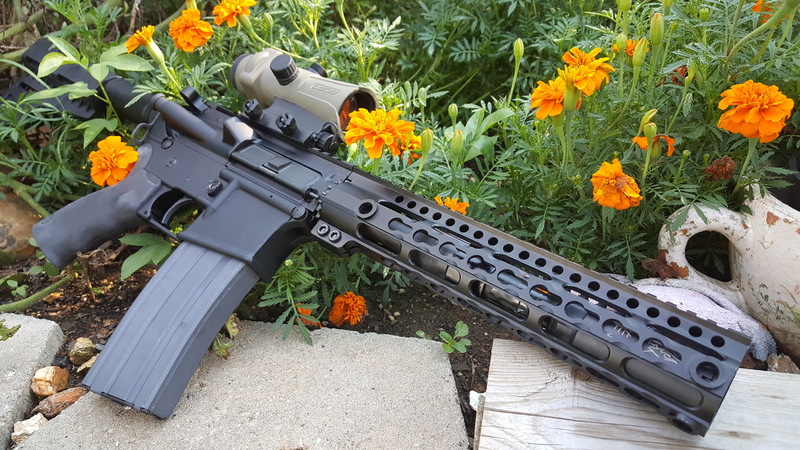 A straight forward M-4 clone, no frills. On the CDD web page, it’s the second one from the top. The Specs. Item No. : CCDM4E16. 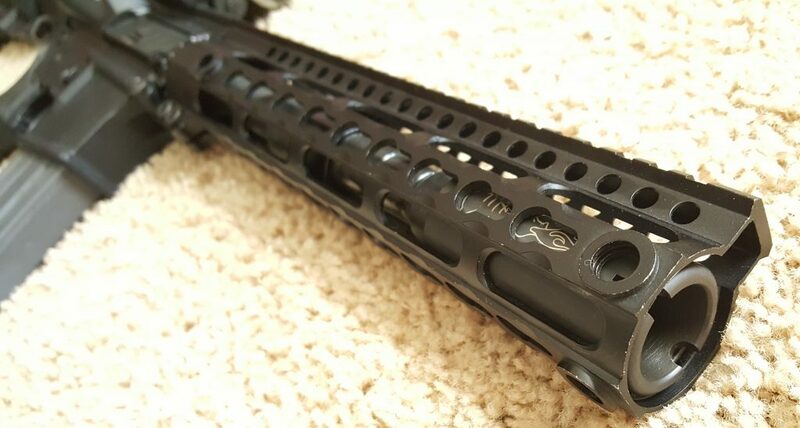 5.56mm Nato, 16” Barrel, 1×7 ROT, MSRP $1309.00USD. Flat top, with removable carry handle. Fixed front sight. 6 position collapsible stock. Chrome lined 4150 barrel, M-4 feed ramps, M-4 fore end. When the rifle came, I was expecting it to be at the Bushmaster/Armalite level, meaning typically Milspec and rough. But I was pleased to see that it was much better than that. I am a critic by nature, and if there is something to criticize, I am inclined to do that. I was batter up at the plate ready to swing and knock this rifle over Bax’s head. I felt deflated. It looked good. It felt good. It didn’t have any “cheap gun” rattles. It didn’t have a grind in the action like cheaper AR rifles do. In fact, it looked just like a Rock River. I had a Rock River on hand in the exact same set up, so I compared them side to side. It was like I was looking at twins. However the Charles Daly had an advantage. The gas key on the bolt carrier is staked securely while the Rock River was not. This is an important detail for a heavy duty use gun. Other than that, they were virtually identical. Well, not quite. The CD gun was better looking. The exterior finish was cleaner, blacker, and smoother. It honestly looked better. Felt better to. I had to shoot it. We had got in some new optical gunsights. One is called the ISM-V from Insight Technologies. It had to be tested out too, so this looked like a good match up. I mounted the optic, gave it a quick bore sight and hit the range. Because most of the interest in this gun was from online sources, I wanted to break away from normal article tradition, and take some video to post on YouTube. The first time out with the CDD, I noticed the only real complaint that I could find. The trigger was typical MilSpec. This means it was a touch heavy in the second stage with a little creep and a little grit. Not bad, just completely average. No better and no worse than any other trigger for this type of rifle at this price range. We didn’t have much time, but Marcus, a co-worker and I blasted through a couple mag fulls. The gun shot quite well and was easy to hit with… typical of the AR type. Nothing out of the ordinary and we experienced no jams. And this was just right out of the box. Box to Range. No cleaning or lube. To do this right and to give this gun a fair shake, I had to give it a cleaning and while doing so, examine the internal parts. The internals looked as good as the externals. No shortcuts, no hidden problems or skeletons. Just good quality parts that were built right. I cleaned the weapon using a new CLP product branded by Smith & Wesson, made sure every part was properly lubed, and reassembled it. This was the only cleaning I did on the gun until the completion of the evaluation. However I did lube it along the way, using Tetra Gun Oil on the bolt and bolt carrier. That was it. Not wanting to review the optic and focus just on the gun, all subsequent shooting was done with the gun’s carry handle attached and just used the iron sights. However it must be said that this ISM-V is a great choice for a combat red dot type sight. It co-witnessed with the front sight perfectly and allowed you to use the optic as a ghost ring sight for fast close range shooting. Extending the shooting range further and you can use the optic as advertised. The accuracy was exceptional. Very consistent. As was the ejection. Unlike most AR-s, the CDD spit out all the brass in about a 4 foot area. 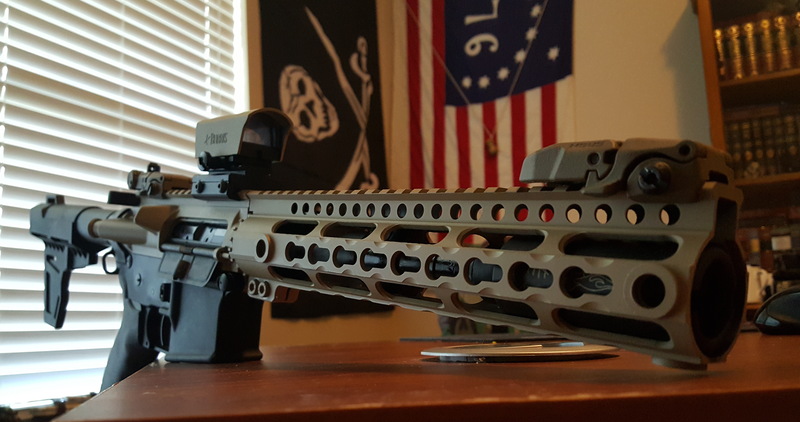 Better than the typical 8 foot area of most AR builds. ROUND COUNT: 880… no video. One of the things I am interested in when it comes to weapon, is can they actually be applied to work. I have to tell you… yes. Since I don’t have a supply of Iraqi Insurgents to deal with, I have to find an alternative. We do have coyotes out here and I was able to test the CDD rifle on a couple of them. From the back of the truck into firing position, the CDD performed well. From spotting 3 coyotes, I was able to put 2 of them down cleanly and quickly. I did have one failure with the rifle, and I’m going to take that on the chin and admit it was Operator Error. I didn’t have the magazine seated properly, so when the weapon fired the first round, the magazine fell so it couldn’t feed the next one. That was my fault, and not the weapon’s. That being said, the functioning of the gun has been flawless. Again, this is something I was not expecting and was even hoping it would be otherwise. When I benched the rifle, it was a very cold day. Not quite warm enough to keep me from shivering slightly. But it was still accurate enough to shoot under an inch. Open sights on a frosty, foggy day when I couldn’t even see the target clearly through the fog – I’ll take that accuracy happily. I bet on a warm clear day, that group could have been shrunk by half. I’m giving this rifle a 9 out of 10. It loses points for the trigger, but everything else was solid. Next time, Bax. You are buying the ammo. For article discussion relating to this rifle, see the thread on WTA. Thank you to Mr. Kassnar of Charles Daly.